At LegalWills.co.uk, we provide the most complete portfolio of services to handle your estate planning needs. We allow you to write your Will, describe your funeral wishes, write messages to loved ones, upload documents to a secure vault, and securely list your assets for your Executor. We are often asked about organ donation. Where should you specify your preferences for organ donation? What can be donated? Should this information be listed in your Will? As the term suggests, organ donation refers to the process of giving up an organ for the benefit of another who needs it. The donation leads to an organ transplant which can usually save a person's life or make it much better. Many patients require new organs in order to be able to survive their medical condition, so organ donors can make a lot of difference in saving lives. Because of the impact it makes on all parties involved, there are laws regulating the donation of organs, and the act itself requires the consent of all parties concerned. What are the different types of organ donations? Brain Stem Death: This is a kind of organ donation done by a person whose brain stem has lost all activity as a result of some brain injury. These people have lost all potential for gaining consciousness as well as their capacity to breathe. This could happen even as a ventilator helps maintain a person's heartbeat and blood circulation. Circulatory Death: This is when a person's body reaches a point where the heart and lungs have irreversibly lost function, usually from a cardiac arrest. At this point, the patient can no longer be resuscitated. This can also be a result of a planned withdrawal of any life-sustaining measure on a patient currently under the care of an Emergency Department or Intensive Care Unit. Living Donation: This one is made while the patient is still alive. The donation is usually one of a kidney or a small portion of the liver, although in some cases it could also involve the bone from a hip or knee replacement, or the amniotic membrane (placenta). Signing up with the NHS Organ Donor Register: The NHS operates all over the UK and it allows you to put on record whether you want to donate all or only some of your organs. You can even indicate your wish NOT to donate. On top of that, you can indicate a person who will act as your representative to make these decisions on your behalf. Anyone can sign up with the NHS as long as (1) you're of legal age and not otherwise incapacitated to make a decision and (2) you live in the UK. Note: Signing up with the NHS means getting a donor card. This is what signifies your consent with the NHS. Also, signing up only takes about two minutes to complete. People who have signed up with the NHS can also opt to have their names removed from the list should they change their minds. Calling 0300 123 23 23 or going to organdonation.nhs.uk will do this. Rest assured, personal information of donors are never given away to third parties. Informing a family member or close friend: Although family members are not allowed to make decisions for you, their support is often instrumental to making sure that your wishes are followed, especially when you can no longer speak for yourself. Family and others who are closest to you are also the people who can help verify whether your organs are fit for transplanting. Note: Some people think that they can conveniently put their wish to be a donor in their Last Will and Testament. Theoretically this is correct, but in practice it isn't. This is because organ transplants must be done immediately after the donor has died and the reading of the Will usually takes longer. In short, by the time your Will is read, you may no longer be a viable donor. At LegalWills.co.uk, we provide a number of services that allow you to communicate your wishes to loved ones. We have a section within our MyFuneral™ service, but you can also use our MyMessages™ service to describe your wishes in more detail. By using these services you can ensure that the information gets to the people who need it quickly and in time for them to take action. In these three cases, you're likely to be unable to make any donations at all. Tissue donation is pretty much like organ donation, except that instead of giving away an entire functioning organ, you opt to give a tissue of a certain part of your body while you're still alive. Much like organ donations, they have to be consented and in accordance with law. Tissue donations can also help save lives. The more contentious difference is that there are some restrictions that apply only to organ donations but not tissue donations. What organs can I donate? Naturally, the organ to be donated will depend greatly on what the patient needs, which in turn depends on the condition they're suffering from. Studies have shown that among the regions, the North West donated around 160 organs within 2016 to 2017, making them the most generous region in the UK. This is followed by the East of England's 150 organs and London's 146. Those with fewer organ donations were the East Midlands with 74 organs, North East at 75, and South-Central England with 89. It was also the North West that donated the most cardiothoracic and kidney organs. Meanwhile, the most donations of the pancreas organ were found to be in the West Midlands. East of England, on the other hand, had the most liver donations. As the name suggests, a living donation is one made by a person while he or she is still alive. This means that they can go on with their lives even after donating a specific organ. Living donations often involve a kidney, since people can survive with a single kidney and a human being normally has two. Part of your liver can also be donated through a living donation. As for tissue donations, living donors can give away a portion of their bones and the amniotic membrane. The short answer to this question is that organ donation can save lives. Current statistics show that more than 75,000 patients are waiting for an organ - one that they badly need in order to survive. The sadder reality is that about 1,000 people die having to wait for that much needed organ, meaning many people never really get the organ they waited for who knows how long. Worse, the demand for organs has significantly increased over the years, and it's sad to know that many lives would have been saved if there were enough to go around. In fact, people who are successful recipients of organ transplants often survive and move on to live better lives. The difficulty in donating organs is understandable. However, organs usually must be transplanted immediately, which means transplants are sometimes only possible when the person who is about to die is in the same hospital as the person who needs the organ. What does "Presumed Consent" mean? This refers to one of the latest and more controversial developments on the laws surrounding organ donation in the UK. It pertains to the new opt-out system that's being effected into the organ donation system, such that individuals are presumed to have consented to donating your organs until you expressly declare otherwise. This means that everyone is a donor by default, so that you don't need to give your consent to become one anymore. 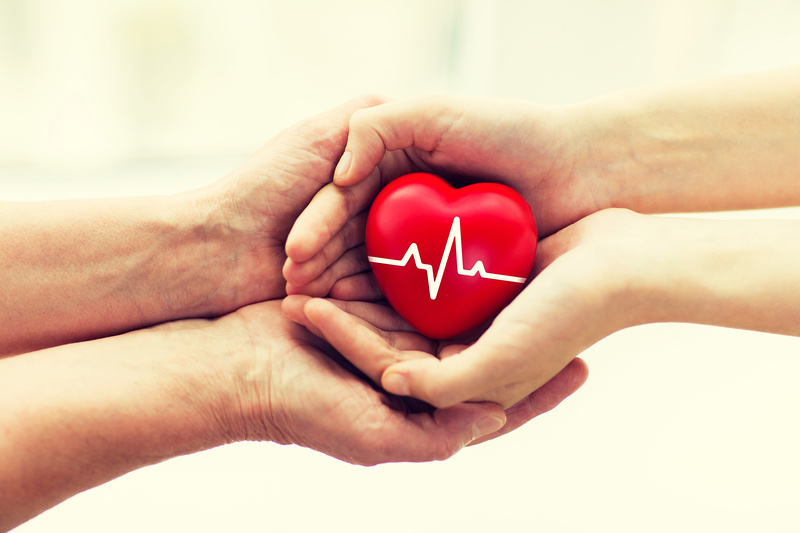 This proposed system was created to solve a lot of problems revolving around organ donation. For one thing, making everyone a donor by default means that hospitals won't have any trouble looking for a donor when one patient needs a transplant. This concern is becoming more and more prevalent as the number of individuals needing an organ transplant rise up to 8% every year. This was also intended to solve the opportunity cost resulting from many people who wished to be donors but were unable to register with the NHS. Finally, the new opt-out system would protect donors from family members who will refuse to allow for their loved ones to give up their organs in spite of the donor's wishes. In fact, studies have shown that the biggest obstacle to successful organ donations is "family refusal", with more than 500 families in the UK having refused organ donation since 2010 despite knowing that their loved one has expressed his or her willingness to be a donor. This resulted in over 1,200 people not getting the transplant they could have had, if it were not for the families of the donors. Is there an opposition to the opt-out system? There is, indeed. Most of those who oppose the development are from social organizations such as Patient Concern and religious groups like the Muslim Council of Wales and Archbishop of Wales. One argument against the opt-out system is that it undermines public trust and medical ethics in general. Another argument states that the system would prevent organ donations from being an act of compassion. Of course, all these arguments are pitted against the rising number of patients who badly need organs, as well as the rhetoric that people should change their attitudes towards organ donation and should be inclined to be more generous to those in need. In any case, it seems clear that organ donations are indeed important; the two sides only disagreeing on the method of allowing it. Take time to do it: Don't mention it as just something you decided to do casually. Taking time to sit down and talk with your loved ones shows how important this decision is to you. By doing so, they'll be able to process it and understand how much the choice to become a donor means to you. Keep a positive vibe: Choosing to be an organ donor can have a negative impression on your loved ones. They could be scared, or may not understand what being a donor means, so it's important to remind them that what you're doing is a good thing and that it's something that can benefit other people. More importantly, it's something that you're proud of. A good way to illustrate this is to talk about how they would feel if they were in the position of a patient who needed an organ transplant, so they could see how good it is to be on the giving end as well. Ask them if they would say yes for you: Although your goal is to convince them to respect your decision to be a donor, you might want to ask for their opinion as well. Making them feel that they're part of the decision-making process can make them more open and more cooperative with your wishes. Share your feelings through social media: If you're not so keen on directly speaking with your loved ones, maybe you can express your personal desires through social media. This is a creative way of starting the conversation in a more personal setting in the near future. Document your wishes using our MyFuneral™ or MyMessages™ service: Using our services and setting up "Keyholders®" ensures that your preferences get to the people who need to know, at the right time. You can do this in addition, or as an alternative, to having a conversation that you may find uncomfortable. So long as you comply with the requirements of organ donations and get the support of your loved ones, you can be an organ donor in the UK and get the chance to save the life of another person.